Get your wide collars and bell bottoms ready everyone because today, we dive into the Party Ideas of the book for the first time. And we do it with a cheese ball. Yes, a cheese ball. That oh so perfect encapsulation of pre-1980 shindigs. At least in my mind anyway. Now I’m certain people still make cheese balls and serve them to guests. I bet there are some super gourmet fancypants ones on Pinterest (because there’s a super gourmet fancypants version of everything on Pinterest), but I can’t recall a specific time I’ve been in the presence of a cheese ball. Cheese dips, sure. Cheese plates, absolutely. But not a cheese ball. And I’m ok with that. 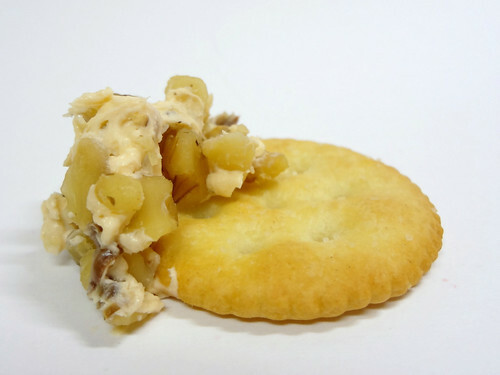 This Fruit and Nut Cheese Ball has been the worst thing I’ve made from Kool-Aid Comes of Age so far. First off, there is an unavoidable, fundamental problem. Orange Kool-Aid is the worst Kool-Aid. By far. It’s too strong, too mediciney, and too gross. 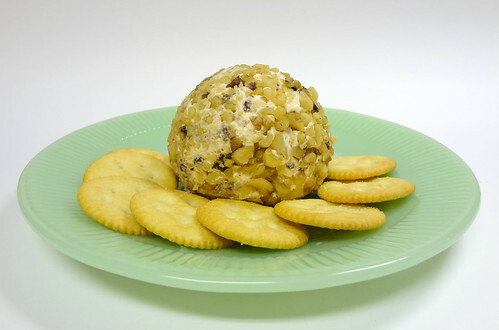 Secondly, it’s a Fruit and Nut Cheese Ball. Now sure, technically, a raisin is a fruit, but come on. If I asked you to list one hundred fruits, you would never mention raisins. Never. Also, this was my first experience chopping raisins. I’m sure I’m not the only person that has mistaken a raisin for an insect at some point in my life. Well chopped raisins look even more ghastly. 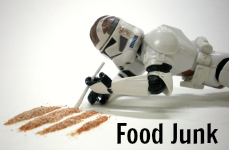 I couldn’t stop thinking about crushed up cockroach bits. Not what you want to be thinking about during your party prep. 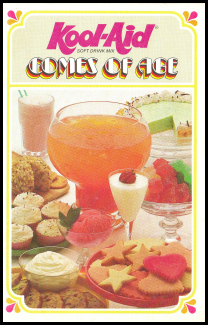 Thirdly, this is the first thing from the book that I’ve made that has been ruined by the addition of Kool-Aid. 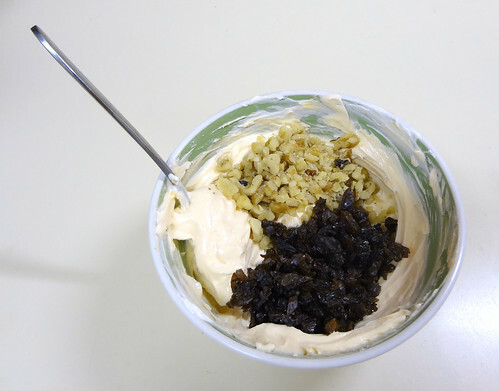 A mélange of cream cheese, raisins, and walnuts doesn’t sound too shabby on its own, am I right? Maybe not the best combo, but I could take a swipe of that with a cracker, no problem. 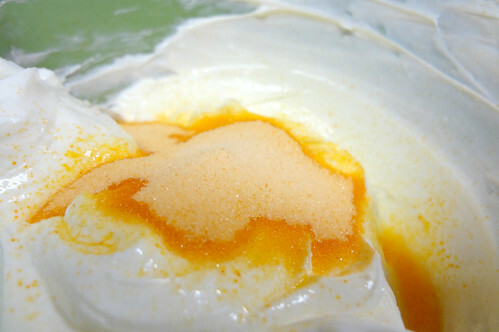 But when you add the orange medicine powder, things just get unpalatable. It doesn’t blend. It doesn’t complement. It just doesn’t work as a whole. And lastly, who the hell wants to eat a lump of soft cheese that’s been rolled around and ballified in someone’s grubby, disgusting hands? I made this myself, and I was grossed out by it. 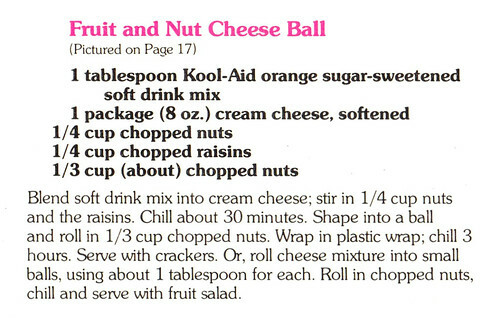 No thank you, Fruit and Nut Cheese Ball. Don’t expect an invitation to my next party. Not now, not ever. 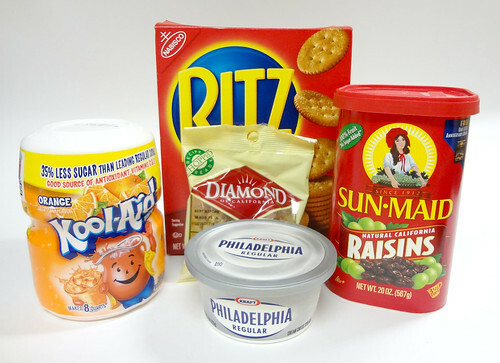 This entry was posted in Party Ideas and tagged cheese, fruit, Kool-Aid, nuts, orange. Bookmark the permalink. The cheese ball sounds quite fowl (maybe birds would like it after all)? I think the addition of BACON would tie the whole thing up nicely. some chopped and crispy bacon or maybe some bacon bits might be less trouble. I always see cheese balls at that something Farms stand in the mall for the holidays- hickory farms I think? Well, the “new” version of cheese balls is now CHEESE LOGS-the grocery store has goat cheese coated in cranberry and some wierd meat ones. Ya know bacon might not be too bad! And goat cheese and cranberries sounds pretty good too. Jenis Splendid Goat Cheese and Cherries is my favorite ice cream.